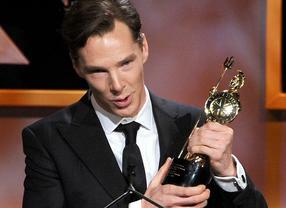 Benedict Cumberbatch was the recipient of the BAFTA Los Angeles Britannia Award for British Artist of the Year in 2013. BAFTA/ Michael KovakThe Britannia Awards are BAFTA Los Angeles’ highest accolade, a celebration of achievements honoring individuals and companies that have dedicated their careers to advancing the entertainment arts. 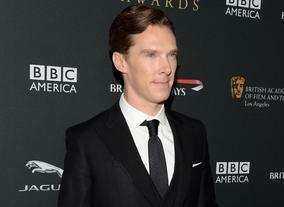 At the 2013 Awards ceremony, film and television actor Benedict Cumberbatch was presented with the Britannia Award for British Artist of the Year presented by GREAT Britain Campaign. BAFTA LA/ Kevin WinterThe award was presented by actors Alice Eve and Chiwetel Ejio during a star-studded show held at the Beverly Hilton Hotel in Beverly Hills on Saturday, November 9. Previous recipients of the award include Rachel Weisz, Kate Winslet, Emily Blunt, Michael Sheen, Helena Bonham Carter and Daniel Craig. honoring individuals and companies that have dedicated their careers to advancing the entertainment arts. “Benedict Cumberbatch has had a remarkable year, and as one of the UK's leading talents he truly exemplifies the continued respect that British talents have garnered around the globe,” says Gary Dartnall, Chairman, BAFTA Los Angeles. BAFTA Los Angeles was proud to partner with the GREAT Campaign and UK Trade & Investment for this award. 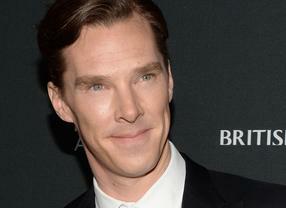 Collaborations between the US and UK industries continue to produce many wonderful films, TV shows and performances. BAFTA Los Angeles hopes that by celebrating such work at the Britannia Awards, we can inspire and support this important relationship for many years to come. Sharing that desire, our friends at UK Trade & Investment invite all members interested in exploring commercial opportunities in the UK to contact them.